We exclusively use dermal fillers made from hyaluronic acid, which is a jelly-like substance naturally found in the body in the skin and also in the eyes and joints. It absorbs water like a sponge and acts like a lubricant. Here’s the key: hyaluronic acid binds with collagen to provide structure, elasticity and volume to the skin making it look fresher, healthier and better. As your skin ages, the cells lose the ability to produce hyaluronic acid. As a result, the skin begins to lose volume, often resulting in thinning lips, facial wrinkles and folds. Hyaluronic acid dermal fillers are used to temporarily replace the lost hyaluronic acid restoring the skin’s volume with a smooth, natural appearance. Injectable fillers shape and sculpt the face from the inside to correct and contour. Injecting fillers is more of an art than a science and requires talent, practice and an extensive knowledge of facial anatomy. Choosing the proper filler is the source of a lot of confusion for patients. Fillers differ in formulation and consistency. Even though they are made from the same ingredient, hyaluronic acid, they don’t behave the same when injected. 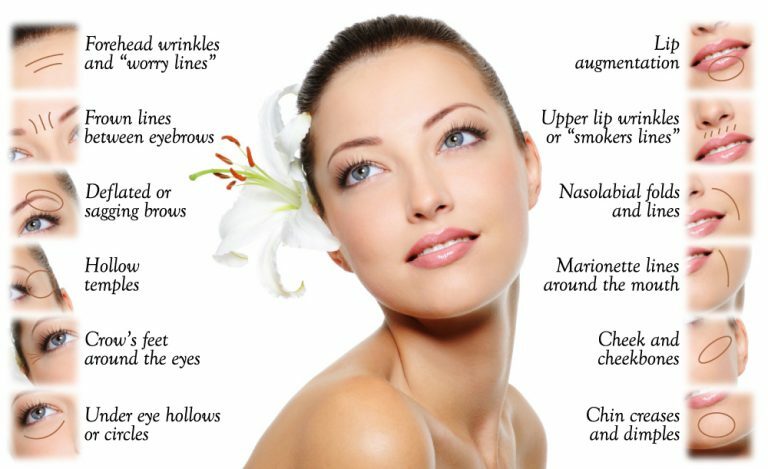 Which filler to use depends on the areas of your face that you want to improve. The places where your skin is naturally thin are the places where you’ll want the thinner products. Thinner formulations are perfect for smoothing lips, as well as for under the eyes and to smooth fine, vertical lines around the mouth because they don’t absorb as much water and give a very subtle correction. For cheek volume or plumping lips using a lip filler, you’ll want the thicker formulations. It’s possible to layer your fillers. You don’t have to do everything all at once. Just like oil painters wait for their paint to dry before proceeding with fine detail, your injector may recommend more than one treatment of injectable fillers. Some of the best results come from starting with one treatment, waiting to see the results, then proceeding with the delicate blending. Many more wrinkle fillers are awaiting approval by the FDA so it will become increasingly difficult to keep them all straight. It is very important to understand that just because a filler is new, doesn’t mean that it’s better. The key is to find the right office with a great injector who has access to the latest fillers and makes recommendations based on your goals and budget. You will benefit from an injectable plan designed personally for you. Your injectable consultation is free and our patients find it very helpful. Our staff has trained with the most renowned experts in cosmetic injectables. Patients routinely comment on their caring manner and fabulous results. For lip and dermal fillers in Fort Collins, the choice is clear. Juvederm (often misspelled Juvaderm) was approved in 2006 by the US FDA for the treatment of mild to moderate facial creases. Juvederm injections are commonly used to smooth out face wrinkles, plump lips, and as acne scar treatment. It can also reduce lines on the forehead and brow, plump eyebrows, fill in under-eye hollows, enhance cheek volume and jawline, soften scars, and reduce wrinkles on hands. 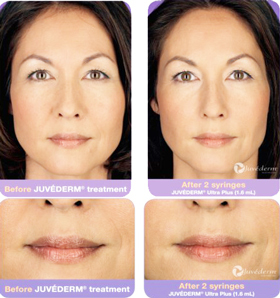 Juvederm is offered in different formulations, including Ultra and Ultra Plus. Juvederm Ultra is Allergan’s version of a highly linked hyaluronic acid (HA) filler that competes with Restylane; it is most frequently used to fill superficial lines and can last 8-12 months. This is our best selling facial filler for two reasons. First, it lasts longer than other hyaluronic acid fillers. Second, it contains lidocaine so it is less painful to inject. 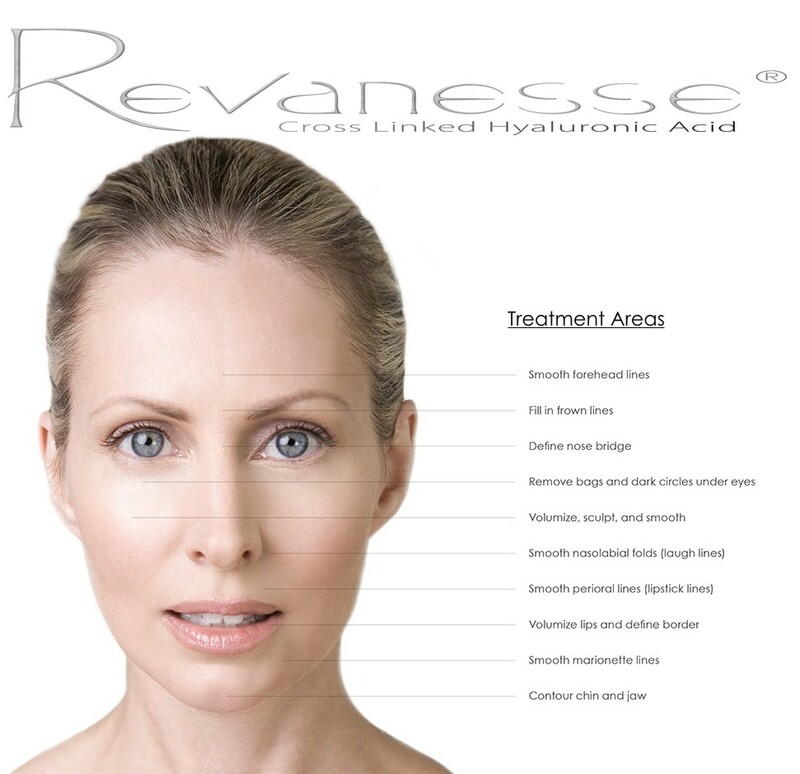 The hyaluronic acid in Juvederm XC is manufactured in a smooth gel versus a gel particle suspension in Restylane. This different formulation is providing a smoother, longer lasting correction than current hyaluronic acid products on the market. Even better, Juvederm XC, in conjunction with Botox, makes both products last longer. Juvederm Volbella XC is the thinnest formulation and is used to correct vertical lips lines, outline the lips and fill in hollows in the tear trough area under the eyes. Juvederm Ultra XC is a bit thicker than Volbella and is used for mild corrections in the nasolabial folds and for smoothing lips. Juvederm Ultra Plus XC has been our go-to filler for years. It has a thicker, plumping formula which is perfect for the lips. 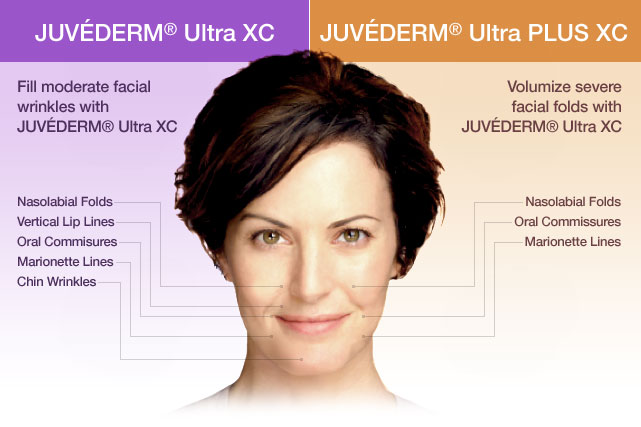 Juvederm Voluma XC is a formulation specifically designed to lift and add volume to the midface and cheeks. Juvederm Voluma is the first and only HA filler cleared by the FDA to restore volume loss in the cheeks, a major factor in the aging equation. 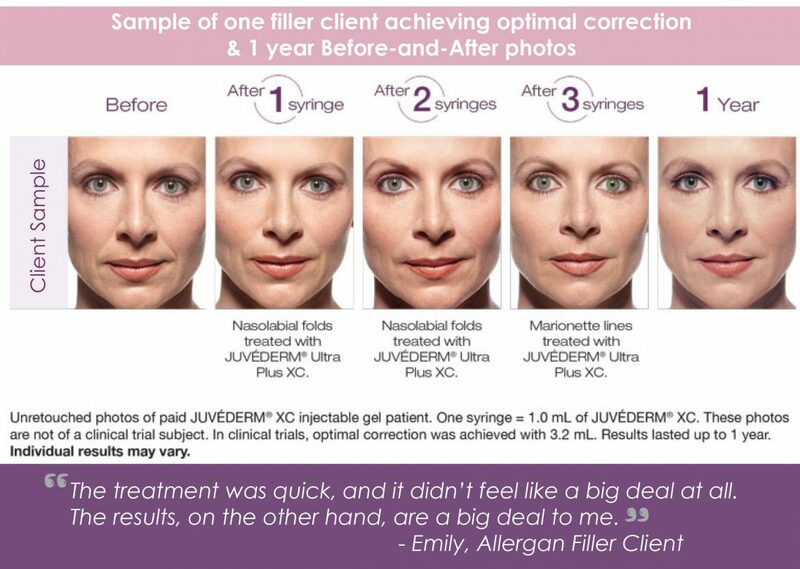 Think about it like this: Juvederm Voluma XC lifts, as opposed to the other products which fill in lines. Volume loss in the cheeks is the major reason we lose our youthful profile when we age. Plastic surgeons have known this for decades. A well-performed facelift actually repositions the cheek fat that sags as a result of gravity over time. 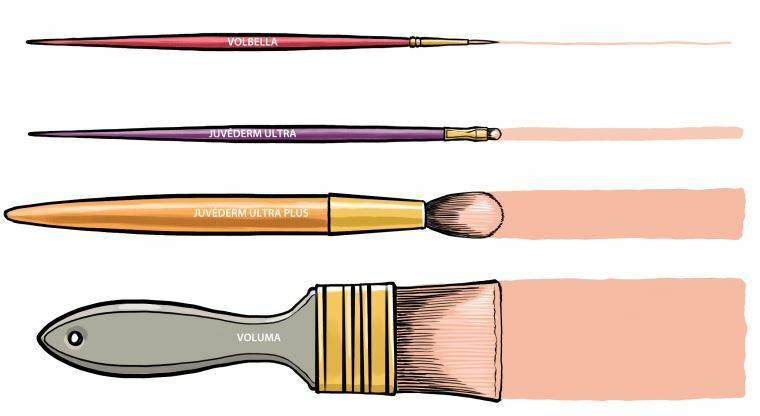 Just to be clear, Voluma can’t reposition cheek fat, but its thicker cross-linked formula adds volume in a way that restores a more-youthful contour to the midface (or a more pleasing Ogee curve if you speak medicalese.) So if you’re not quite ready for a facelift but have started noticing some changes, Juvederm Voluma could be just what you’re looking for. 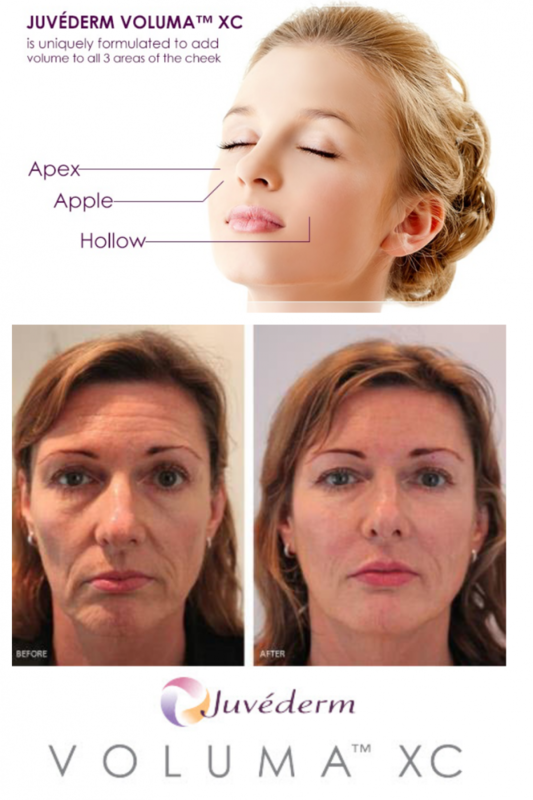 The subtle lift achieved with Juvederm Voluma XC can make a dramatic difference. Patients surveyed in the clinical trials said they look up to 5 years younger. The best part? Juvederm Voluma XC lasts up to two years. It’s becoming clear that the aesthetic non-surgical field is evolving. Rather than just chasing individual wrinkles and filling them in, we can now take a more holistic approach by improving the 3-D effects of aging in the midface first and filling the rest in later. So you can see how well Juvederm Voluma works hand-in-hand with its sister product Juvederm and why we are delighted to have it in our anti-aging arsenal. 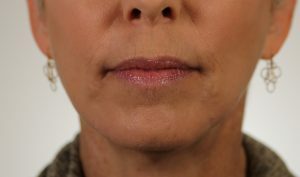 Volbella XC is a brand new derma filler in the Juvederm family that is specifically formulated for smoothing the fine vertical lines around your lips and mouth. Its thinner formulation is perfect for treating really fine lines and filling in the tear troughs under the eyes, but it is much longer-lasting than other thin hyaluronic acid formulations on the market. Volbella can also be used for more precise shaping for people who want definition (similar to a lip liner), rather than fullness. Volbella will also smooth the lips or add back that natural “M” to the cupid’s bow. There are other benefits. It helps your lipstick to look better. Why? Because Volbella smoothes those fine lines that cause lipstick bleeding or creasing. For those looking for a natural-looking, subtle correction of fine lines, Volbella is absolutely perfect for you. There is little to no swelling with Volbella and it lasts for one full year. Like the rest of the Juvederm family, Volbella XC contains lidocaine. *We can still get regular Dysport, Restylane, Restylane Silk, Prevelle and Belotero by special request, but we don’t carry much of it in stock. Our patients overwhelmingly prefer the Allergan Botox and Juvederm XC family of injectables and fillers because they lasts much longer. For those who are looking to take control of the signs of aging, Revanesse® VersaTM is a multi-purpose dermal filler that leverages state of the art production methods, optimal ingredients and rigorous quality testing to provide remarkable results. Revanesse® is tried and tested, with over 3 million syringes used worldwide since 2012. VersaTM is a remarkably homogenous filler due to the advanced wet milling technology and proprietary formula. This means that the particles are uniquely spherical and uniform, providing the perfect balance between smoothness and volume. Less Swelling: In a recent study another popular (HA) dermal filler was shown to produce swelling 24% more often than VersaTM. The lower rate of swelling means many patients are able to get back to their lives almost immediately after the treatment. Ellen tried Revanesse® VersaTMbecause she was looking for a more youthful appearance. She chose the treatment for its ability to provide natural looking results. She was hoping for a change that was subtle enough that friends & acquaintances would think she looked good, but not be able to place exactly what was different. Before her Revanesse® VersaTM treatment, Ellen had moderate lines appearing from the base of her nose to the outer corners of her mouth. She also had some wrinkling in the corners of her mouth. 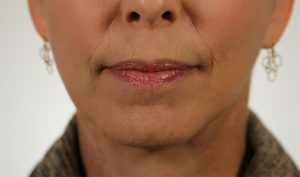 Ellen’s after image, taken within 2 hours of the treatment, shows a natural, but noticeable difference in the reduction of wrinkles and increased smoothness in the treated areas.